3 Ticks Rule of Evidence. Downloads - Forms - Links. 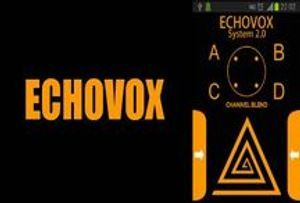 ECHOVOX System 3 - Mobile Phone app. I have always tried to stay away from this sort of device as stated on my page 'Tools of the Trade'. I simply can't for the hell of me understand what they are supposed to do. Random chopped up words soaked in echo and reverb effects answering questions? What is this about. Over recent times many people have been talking about these apps and some placing a high level of approval and recommendations on some models. We are not talking Ghost Box stand alone units, we are talking mobile phone & tablet apps. In other words, it's software. How the Ghost Box Work. Understanding how the ghost box functions, especially with regard to the sweep, audio fragments and white noise. Most of the ghost box models created or tested are altered to sweep either the FM or AM radio band - many offer the option to use one band or the other. As the channels are swept through, either upward or downward, a mix of white noise and audio fragments can be audibly heard. These audio fragments may best be described as bits and pieces of disc jockey voices, music, or whatever is being broadcasted across the band at the time the radio sweep is made. The sound a ghost box produces is similar to using the tuner knob on a vintage car radio to quickly pass over the stations, by hand. 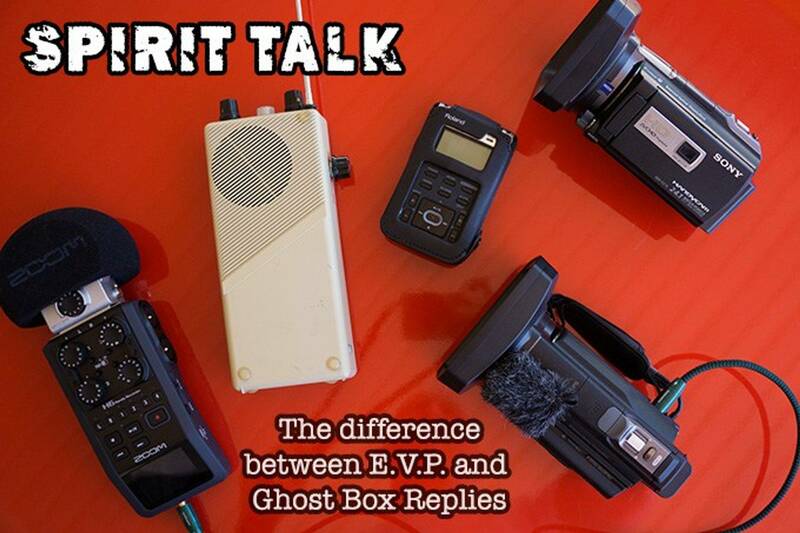 With the ghost box radio sweep method, the suggestion is that spirit or ghost voices seem to be carried upon these audio fragments and white noise, the audio mish-mash acting similarly to carrier waves (carrier signals) used to bring forth radio communications. It is believed by some that these audio fragments sometimes not only alter the tone and overall pitch of the spirit voice recorded but also may affect the pace of the message by causing it to line-up, in sync with the speed of the changing radio frequencies. While making ghost box recordings, voices, recorded while asking questions, are sometimes altered in pitch and pace, making our normal, human vocalizations sound choppy and manipulated. For this reason, some do not believe that ghosts and spirits actually manipulate the audio fragments into forming words to create a message for us to hear. There are many that subscribe to this theory but some believe it isn't the case, which can make information gained, to start sound very confusing . Some experiments seem to indicate that the spirit voices recorded are affected by the frequency changes of the audio which is used as a carrier of the spirit voices. Hence, the ghost and spirit voices typically tend to be held captive to the speed, rhythm and pitch changes of the audio being generated. Having read a considerable amount of information on WHAT it does, I can now at least explain in a language everyone understands. Software like Echovox, scans certain radio channels moving quickly, we are talking milli-seconds, through these channels picking up words and playing them back as sound samples, words. It is these words that is suggested are used by a spirit to communicate to any questions you ask. There are options within the software to add reverb and echo as well as the speed the scanner works at. If the software uses multiple channels - more than one, your able to mute some to the point of just using one channel. You are also able to record the session and replay it again later. The more I looked into this subject the more interested I became. For example, let us suggest as a skeptic of the system the software just uses words and plays them back in a random pattern. If that was the case then you would expect, if you were to ask a question like 'what is your name?' to answer back with a choice of millions of words such as train, orange, car, house... etc etc. Yet the answers given are more often than not actual names, as high as 90% which rules out any sort of fluke. 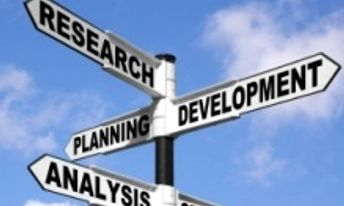 So you may suggest that asking names is a common question so filling the units with streams of names and you stand a good chance of fooling the person asking the question. Once I realised the sound process the software uses and the effects used such as reverb, echo and delay, I knew it was now territory of my own expertise and I was able to unpick exactly what it does and how. With this software, it works very differently than just using a series of words within a sound bank. The software uses both the speaker of the device where you have installed the software, as well as the devices microphone, and both at the same time, therefore creating a feedback loop. Feedback you will of heard at a disco for example, someone with a microphone speaks when the microphone is in front of the speakers, and when you speak the sound is picked up from the speaker by the microphone as well as your new words and you get feedback and if it's loud enough a high squeal is heard and you place your hands over your ears. The software in simple terms manipulates this feedback, using speed settings, a number of different channels as well as echo/delay and reverb and plays it back but not the word you have spoken but some other word, which they suggest is a spirit manipulating this frequency range with their own chosen word or words. I have also heard the voice to sound like a female. Some people have suggested that when you speak the software uses buffers. A buffer is a simple way of holding up a data stream, similar to the affect you get when you place your thumb over the end of a hose pipe to enable a more controlled constant stream and to avoid spluttering. Buffers are mostly used with movies where a computer would struggle combining sound and picture in a constant way in real time. You may have seen on a youtube movie your watching, the movie stops and you see the circle spinning and often a warning note saying ''buffering". I think the confusion of buffering is based on limited understanding. Delay, which is an effect used by the software, is a way of repeating a sound again at a rate you decide and as many times as you need, often called echo. Your in a cave and you shout hello, some seconds later the sound is repeated, this is echo. As a musician I use echo and delay all the time so no way does the software buffer the data, it has no need too. As with all new ideas, I often place a 50-50 figure on something new until I can vote it up or vote it down. Elsewhere on this web site I state I am not a convert of the Ghost Box theory. Most of this is due to what I was told when I asked questions about it and how it worked. Being told a simple answer like 'it talks to ghosts' is not a good way to persuade my opinion. At a recent investigation I worked with a guy who used both the stand alone unit as well as the software based system. What I did do as part of my own EVP recordings, I also recorded the sounds of these devices. I normally keep well clear of this sort of device due to the racket they make and they can and will destroy EVP recordings, but on this investigation I had little option but to be close to it. Listening back to the recordings later I became more interested, the reason I have spent some time researching, as well as spending £24.55 on the Echovox system. The Echovox software appears to be the higher rated of the apps that are available. More about the android version of Echovox can be found here. For anyone who understands sound will find no problem at all with understanding Echovox, the words and their practice are all familiar. I would not say that it's a 'plug n play' system and does need a bit of hands on to get the best from it and if you have zero knowledge on sound then you may struggle a bit until you get to understand the functions. There are however a number of movies on youtube which cover some basic settings and more than enough to get you started, the more you use it the better you will become. Those of you that know me from music will know I already produce a number of pre-set sound effect programmes for guitar and this was in answer to a number of people wanting a sound I was using. The problem with using suggested pre-sets programmed by someone else is they are not you playing the sound, it's their fingers not yours. I often get told 'they don't sound exactly like you', well they don't due to the fact it's not me playing the sounds. And likewise with this Echovox system, using suggested settings is fine but you must consider your own personal fine tuning. I have attached the movie below for your information and getting started. The connection between EVP and the Ghost Box. 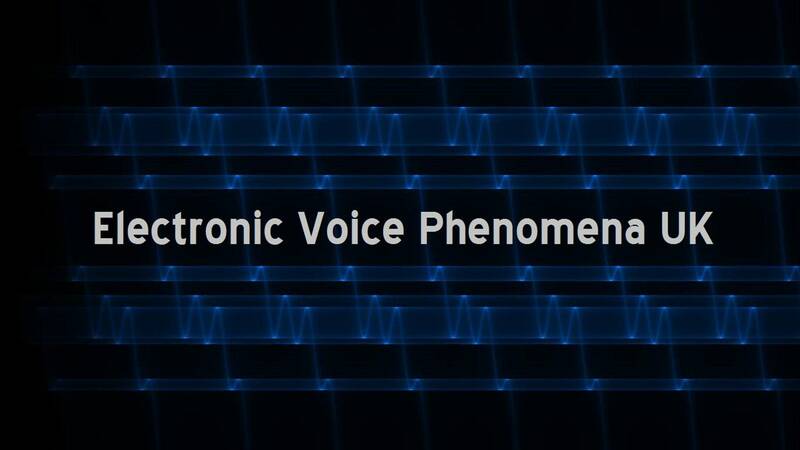 Given the nature of EVP, sound not heard at a given time but recorded and listened to later, the very nature of EVP, then the technology used by applications like Echovox may in fact help the study of EVP given the sound heard on Echovox maybe the same waveband protocol which allows the EVP to be recorded as silent sound until listened to via some form of audio device later. This is possible if we presume that the technology used within Echovox does repeat and record the same phenomena. The issue with recording EVP at the same time as using a system like Echovox, is the recorder will record the sound from Echovox and overdub any EVP being recorded at the same time. Both recordings need to be kept totally separate. The reason for this is simple and as explained above. The research intention with this area of recording is to establish if the protocol which forms EVP, uses the same protocol for hearing the same sound via software like Echovox, therefore if you asked a question via Echovox such as 'what is your name' and your able to record the same question but record nothing else, if the answer then comes back as 'John' and the EVP records the same answer, then you have effectively proved the link and you would without question place EVP as 100% paranormal given both sets of technology differ and in no way connected. Got it so far?. Has this been tried before? What I find is a puzzle. I can not find any data from the powers of the internet that paranormal investigators have even tried to establish this link. Are they missing the obvious? or have I stumbled onto something?. Can this experiment be done? This simple answer is yes. You need to consider that the microphone and speaker of the device have to be used, you can't for example silence the speaker otherwise the feedback loop doesn't exist. You can't have the speaker sounding close to the EVP recording due to the overdubbing but you also need the EVP recorder and the Echovox device close enough to each other to ensure any EVP is being recorded from the same given area. So it is problematic. Now we come to the research side. The only way this could be tried is by experimentation. Using a Bluetooth speaker 'may' allow the unit to be moved far enough away not to cause sound issues but close enough for the feedback loop to occur. As long as the Echovox device has been set to record, then the evidence is there, and hopefully the same recording can be matched to an EVP. This is a real case of watch this space. Voice to Text Tutorial Movie. This guide takes you through all the steps needed to get Voice to Text software working for you using 'Voice Note 2. See this link for more information. Echo Vox Bit Rates & Duel Recording. The bit rates that are saved in Echo Vox, the sample rate, are preset within Echo Vox app, these files although are WAV format with not play in Windows Media Player. To enable you to do so follow these steps on this movie to save the sound files from Echo Vox to a WAV format 44.100 16 bit so play in Media Player. Although you can use the saved files within the Echo Vox app, I suggest that you also record the Echo Vox speaker with another digital recorder. This helps to capture the room sound as well as any additional EVP. Some practice will be required to get the best recording position between Echo Vox and the recorder. You then have two recording of the same source to review and enhance. The higher speed of the Echo Vox recordings normally mean it needs to be slowed down to make hearing the sound or voice clearer. There are a couple of ways you can do this. The movie below explains how to do this and the reasons for doing so. EQ to improve the sound from Echo Vox recordings. I have seen a high number of people use 'noise reduction' software to clean up sound, noise reduction or noise scrubbing is far too aggressive and should be used as a last resort. You should always start with EQ as an excellent way of addressing problem noise with recordings. This next movie guides you through a number of easy steps to increase the quality of recordings and should be considered as a first step to sound enhancement before you go down the road of noise reduction software. All documents and its web site content is copyright of Paranormal Investigation UK © All rights reserved. Any redistribution or reproduction of part or all of the contents in any form is prohibited other than the following: You may print or download to a local hard disk extracts for your personal and non-commercial use only. You may copy the content to individual third parties for their personal use, but only if you acknowledge the website as the source of the material. You may not, except with our express written permission, distribute or commercially exploit the content. Nor may you transmit it or store it in any other website or other form of electronic retrieval system.